Did you know there could be a few as 1000 remaining Cassowaries left in Australia? 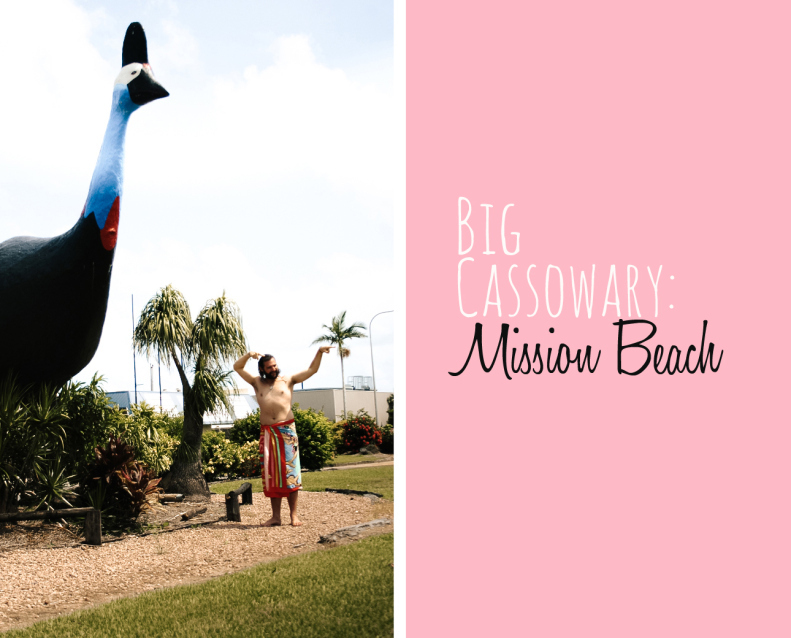 Mission Beach is one of the hubs for Cassowaries and hence the need to celebrate with a Big Thing. Mission Beach unfortunately went through devastation when Cyclone Yasi ripped through in Feb 2011. There was so much concern for the survival of the Cassowaries that they arranged fruit drops for them. I’m happy to report, I was lucky to see five Cassowaries up north when I was there in 2012, let’s hope one day, Cassowaries can make it off the endangered species list! Address: Outside ‘Wongaling Beach Shopping Complex’, Wongaling Beach Road, Mission Beach, QLD.